CHARLOTTE, N.C. -- Kevin Harvick is never one to hold his tongue. During Tuesday's availability during the NASCAR Media Tour hosted by Charlotte Motor Speedway, the driver of the No. 4 Jimmy John's Ford pulled no punches when it came to NASCAR's need for schedule changes. "You really want me to get started on schedules?" Harvick joked. "The one thing I do like about this season is the schedule is changing." Among the changes made by NASCAR in 2018 is a revamp of the playoff schedule. Both Las Vegas Motor Speedway and Richmond Raceway will host the first playoff races in their history, and the Brickyard 400 moves into the slot normally held by Richmond as the regular season finale. 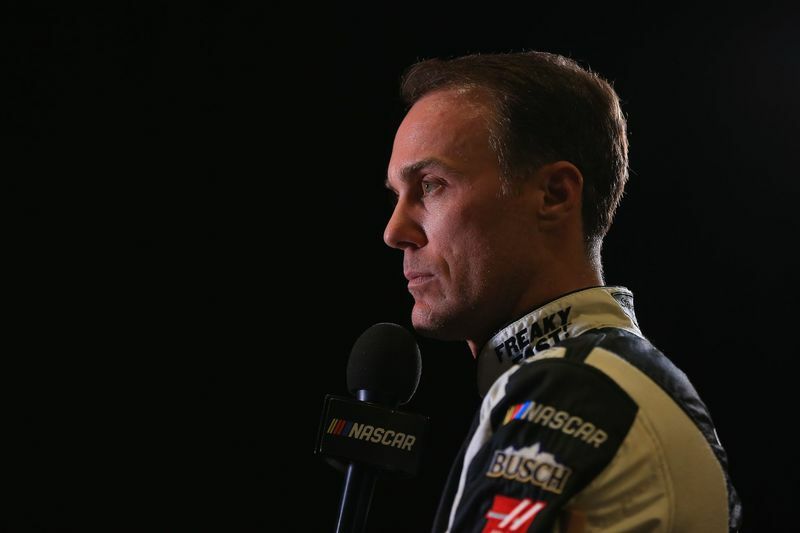 "You see Richmond in the playoffs, you see Indy in a date that the fans can sit in the grandstands and not burn their rear ends off, (and) you see the Charlotte road course," Harvick said. Charlotte Motor Speedway and NASCAR announced Monday that the infield "Roval" at CMS has been modified down to a 2.28-mile configuration, eliminating two turns in an effort to speed up lap times and help with tire wear during the event. Just for good measure, the Bank of America 500k will wrap up the first round of the playoffs, marking the first road course playoff race in NASCAR history. "If we don't ever run the road course again, think of all the conversation that it has created," Harvick explained. "If you did it every year, it would just be another race. "Those are the types of things that we need to create. We need to create events, we need to create moments." The 2014 Cup Series champion went on to say that NASCAR's schedule had grown stale over the years and applauded the decision to give playoff races to Las Vegas and Richmond. Harvick also suggested that NASCAR begin rotating the championship finale, which has been held at Homestead-Miami Speedway every year since 2002. Harvick said it's about creating must-see, Super Bowl-esque events, not just good racing on the track, and it begins with mixing up the schedule. "People don't like the same thing, you have to keep their attention," he said. "It can't just be about the cars racing on the race track and you have to have a good race because they're not all going to be good. If you make the schedule exciting and the events exciting, that's what guarantees you the people to come back if they had a good time. If you have a good race on top of it, great. "If you get the results that come out of that with something that happens to be an extraordinary moment, that's kind of the icing on the cake."